On-the-go food and drinkware makes as much a statement about you as your favorite scarf or bag. These products aim to add zest and style to the daily commute, a long conference call, or an otherwise routine packed lunch. A simple and innovative water bottle. 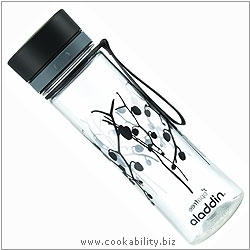 Made from bpa free polypropylene. Stain, smell and shatter resistant.Easy to fill with removable spout.